Explainer: Why is Chinese New Year Called 'Spring Festival'? We all know about China's much-vaunted "five thousand years of history" and the incredible depth and age-old lineage of this great civilization and its ancient traditions. But although Chinese people have indeed been celebrating their own New Year holiday for millennia, they've actually only been celebrating Spring Festival for a mere matter of decades. When Sun Yat-sen founded the Republic of China on January 1, 1912, he declared that from now on China would follow the Gregorian rather than traditional lunisolar calendar – but with one uniquely Chinese characteristic. Instead of dating the years from Christ's birth, Chinese years would be numbered from the date of the founding of the Republic, making 1912 year one. Theis system is still officially in use in Taiwan. In July of 1913, the young republic's new president Yuan Shikai ruled that starting from 1914, the country would observe four national holidays, or one for each season. First up was the lunar New Year, which was to be renamed Spring Festival. Dragon Boat Festival would then become Summer Festival; Mid-Autumn Festival would be Autumn Festival; and the Winter Solstice was to become Winter Festival. Until this day, China had only ever had one New Year's Day to celebrate – the lunar New Year. With the addition of this second New Year, some confusion was inevitable, so the government appropriated the word Yuandan ('the first sunrise') to refer to the first day of the Gregorian calendar. Yuandan had hitherto been the first day of the lunar calendar, which was now in need of a new name. Before 1913, 'Spring Festival' was the first solar term known as Lichun, which could fall before or after the New Year and marked the end of winter, but now it became the new name for the New Year's celebration itself. The old Spring Festival, now in need of a new name, eventually became Farmers' Day in Republican China. Despite this edict, however, the new terms had some time to go before they truly gained traction. Yuan soon began to crack down on Sun's Chinese Nationalist Party (Kuomintang), which commanded a majority in parliament, and in November Sun called for a Second Revolution against his autocratic rule. Although this was soon crushed by the Beiyang Army, the uprising shattered the thin veneer of national unity sustained by the post-revolution compromise between the KMT in the south and Yuan's northern Beiyang clique. It wasn't long before the imperious Yuan completely went off the rails, declaring himself emperor in 1915 and thereby prompting even his most loyal subordinates and closest supporters to abandon him. When he died the following year, China was plunged into the fragmented and chaotic Warlord Era. Whatever new decrees were issued from the nominal capital, they didn't get very far. When Chiang Kai-shek's Northern Expedition united the country once again in 1928, the new Nationalist government perpetuated the calendric reforms first put forward in 1912-13. Facing Japanese encroachment and a Communist guerilla insurgency from 1931, however, Nanjing's hold on the rest of the country remained tenuous. After their retreat to Taiwan, the ROC government would continue to refer to New Year's as Spring Festival in official documentation, but it never completely supplanted the old terms nor the old traditions to the same extent that the rulers of the self-styled New China would attempt to realize on the other side of the strait. On September 27, 1949 the first congress of the Chinese People's Political Consultative Conference met in Beijing. Along with establishing of the People's Republic of China, the meeting retracted Sun Yat-sen's earlier decree and proclaimed that China would henceforth count their years just as the West does, and reiterated that the Gregorian New Year would be known as Yuandan while the lunar New Year was now Spring Festival. Summer Festival, Autumn Festival and Winter Festival, however, were all consigned to the proverbial dustbin of history. In the Cultural Revolution years (1966-76), the People's Republic vowed to "change customs" and have a "revolutionized and fighting Spring Festival" in which people enjoyed no holiday and had to work overnight. Instead of feasting on the traditional reunion dinner, people were compelled to eat yikufan in communal kitchens – a deliberately unappetizing meal consisting of thin cornmeal gruel and radish leaves taken to "remember past hardships" before Communist liberation. Thankfully for everyone, this new custom did not survive into the Reform and Opening-up era, but the rebranding of Chinese New Year as Spring Festival was already etched into the national psyche. When he first took possession of Hong Kong in 1841, Captain Charles Elliot announced to the island's 3,500 residents that their new British overlords would not interfere with local customs unless they were unjust or dangerous. "[P]ending Her Majesty's further pleasure," Eliot promised, "the natives of the island of Hong Kong, and all natives of China thereto resorting, shall be governed according to the laws and customs of China, every description of torture excepted." In Hong Kong, this deliberate aloofness became the philosophy by which the entire colony was governed. The Elliott proclamation would be referred to in colonial courts for the next century and a half, and eventually it even acquired it's own "-ism." In the post-war boom years, Financial Secretary of Hong Kong Sir John Cowperthwaite coined the term "positive non-interventionism" to articulate the colony's economic policy direction; in reality, though, this idea had been in practice since Hong Kong's earliest days, and effected every sphere of life in 'the Fragrant Harbor.' Cowperthwaite believed that the aggregate of decisions made by individuals, even when mistaken, "is less likely to do harm than the centralized decisions of a government; and certainly the harm is likely to be counteracted faster." Sir John's brainchild, which saw real wages rise 50 percent and the number of households in acute poverty fall by two thirds, was in a way just the economic extension of Elliot's 1841 proclamation. While "continuous revolution" continued to convulse the mainland, therefore, Hong Kong remained an island of unspoiled tradition, its governors determined to rule their subjects with a much lighter hand – perhaps even too light, many in the mother country would say. The reluctance of Government House to interfere with the traditions of Hong Kong's Chinese residents earned scorn from activists and social-justice parliamentarians back in London. It took over half a century of lobbying, for example, for colonial authorities to outlaw the Cantonese tradition of mui-tsai, a system whereby poor families who produced daughters they were unable to adequately care for sold them to wealthier households where they would earn their keep as domestic helpers until coming of age. The practice ostensibly had benevolent intentions – these young girls would be sheltered, clothed, fed and educated, and their adoptive families were find them a suitable partner for marriage – but in reality it too often resulted in sexual abuse, exploitation and the kidnapping of girls from across the border. Although the colony's first ordinance in 1844 banned slavery, neither the colonial government nor local Chinese considered this to include the mui-tsai in domestic service. After the first ships sailed through the Suez Canal in 1869, many European and American tourists were shocked to find such a practice openly tolerated in a British colony. Reformist groups in the United Kingdom launched a vigorous press campaign, and American politicians used the existence of the practice as evidence to support their 1882 Chinese Exclusion Act, which prohibited the immigration of Chinese laborers all the way up to 1943. Instead of banning the practice outright, however, the colonial government compelled the Chinese themselves to resolve this problem in their community. The Po Leung Kok, or Society for the Protection of Women and Children, was founded in 1882 with the support of Governor Sir John Pope Hennessy to rescue victims of kidnapping and provide them with shelter and education. Defenders of the system argued that it saved poor girls from prostitution and offered them a better life, and the option of selling daughters on to other families prevented a far more abhorrent custom: the drowning of female infants at birth. Faced with mounting pressure at home, however, Secretary of State for the Colonies Winston Churchill promised in 1922 to suppress the system within a year. "I am not prepared to go on defending this thing," Churchill thundered: "I do not care a rap what the local consequences are." In reality, however, it would take nearer to a decade; and the practice, pushed underground, would survive all the way into the 21st century, stamped out less by official fiat than by rising standards of living first in Hong Kong and then across the Sham Chum River. Who are they most compatible with? And who are their mortal enemies? 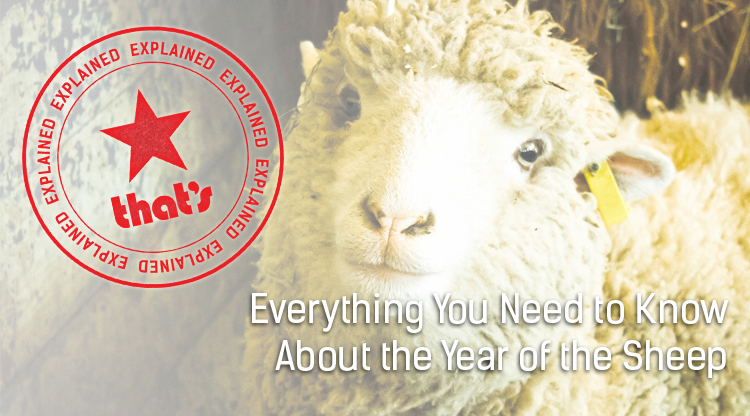 We answer your Sheep Year questions. How to decode registration plates across the country. The ancient Chinese tradition of open-crotch pants. The puntastic reason behind Tay Tay’s mildewed Middle Kingdom moniker.